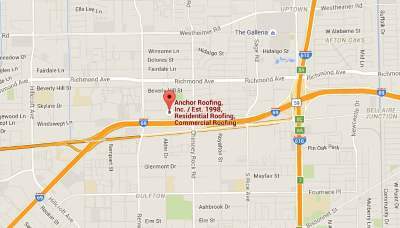 Repair a roof in Houston for a challenge. The one thing that you can do as a homeowner to save money to roof repair Houston is to maintain proper maintenance all year long. If you stay on schedule with your roofing maintenance by doing the small things, you may save money by preventing major roofing replacement jobs. Many homeowners who have replaced or had any repair needed for their roofing in the past will agree that the costs associated with preventative repair is a mere fraction of the cost of entire roof replacement. This may not seem like an important activity to some but this process allows you to spot any potential structural damage before it shows itself in a misfortunate fashion such as a leak. The cost of preventative repair is well worth the money spent since it keep you from spending thousands of dollars on repair. When you do run into major roofing issues, you may not have the time or financial resources to take on such a task but won’t have many other options. You must consider who will be doing the job and how much money it will cost you in the end to complete the entire project. Some readers may not understand what this preventative maintenance means which is why they continue to overspend on roof repairs. This maintenance should be done once a year to make sure that you spot any major damage before it’s too late. This is just a recommendation but this will vary depending on your personal issues. If your home is located under a wooded area with many trees around it, this may pose a gutter drainage problems in the future. If this sounds like your situation, you will need to perform these preventative measures more frequently than others. You will have to make sure that the leaves aren’t blocking your roof draining system since this type of damage may cause permanent problems with your roofing. The water will back up in your roofing drains and cause your roof to age at faster pace. Making sure that you stay on top of your roofing repairs will not only save you money in major replacement expenses down the road but will also prove to be a beneficial investment to lower your energy expenses as well. 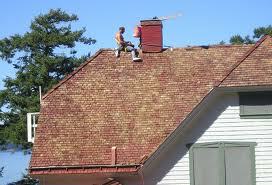 Make that you set a reasonable budget when you think about contacting your local roofing contractors. This well help you to eliminate contractors that offer services outside of your price range.